Ships today if you order in the next 7 hours 51 minutes. Auto Ship & Earn + 156 Points What's this? Here's a Vitamin K supplement that covers all the bases. First of all, you'll be getting three forms of Vitamin K. There's K1 (Phytonadione) which is the most common type of Vitamin K. There are also two forms of Vitamin K2 (Menaquinone-4 and Menaquinone-7). Some research suggests Vitamin K2 could support healthy bones and a healthy heart, while K1 is known mostly for supporting normal blood coagulation. Having three different forms allows the nutrients to work together synergistically. But this supplement doesn't stop there. 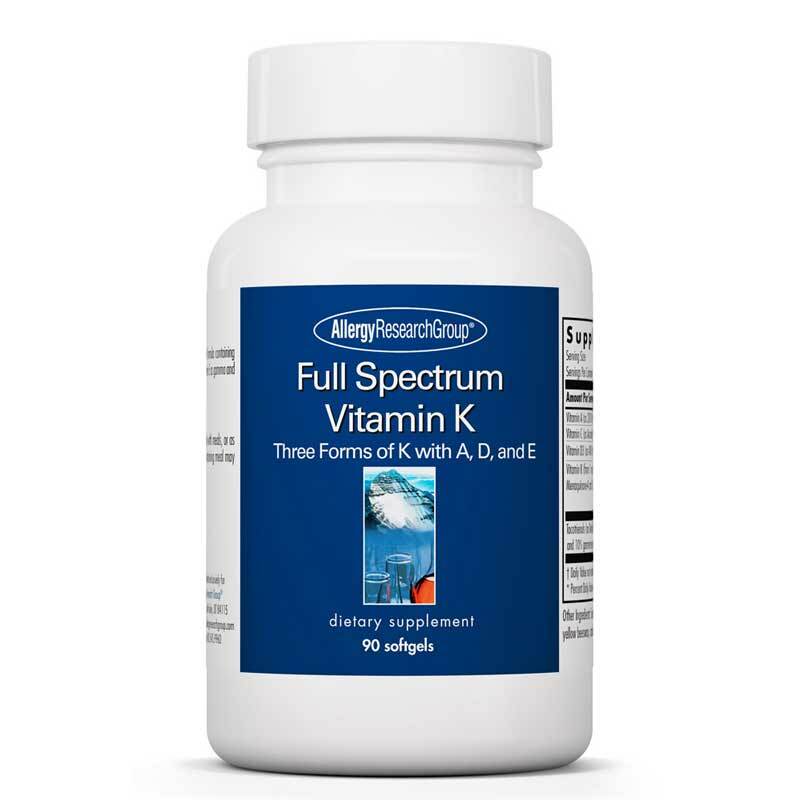 Full Spectrum Vitamin K from Allergy Research also contains fat soluble vitamins A, and D3. Plus, there's Vitamin E as gamma and delta tocotrienols, which can help target oxidative damage from free radicals. 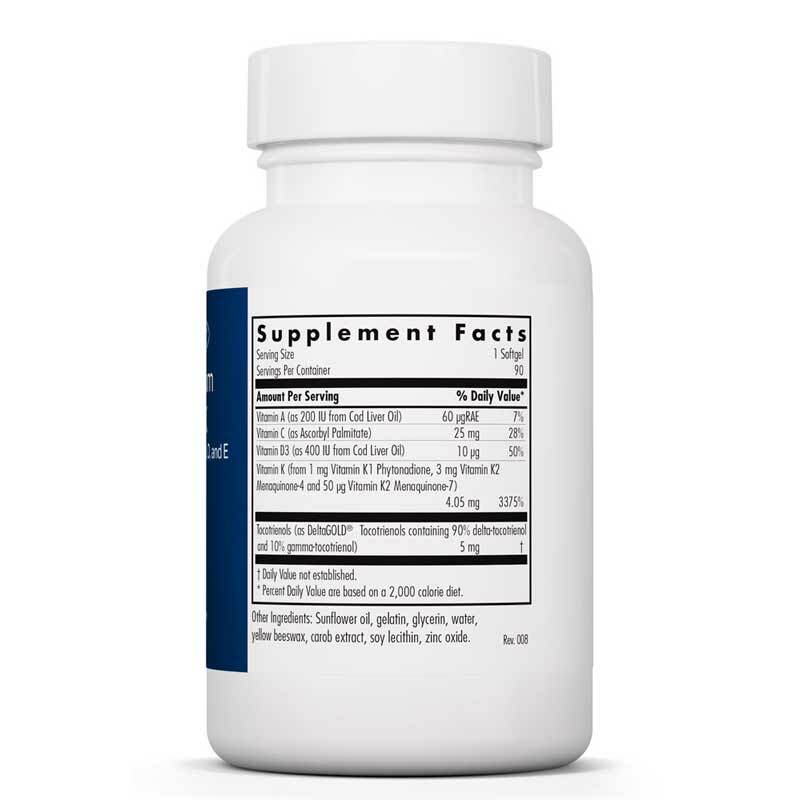 If you know you have low levels of Vitamin K, this supplement is formulated to make sure your body gets what it needs. Vitamin K support doesn't stop with K1. 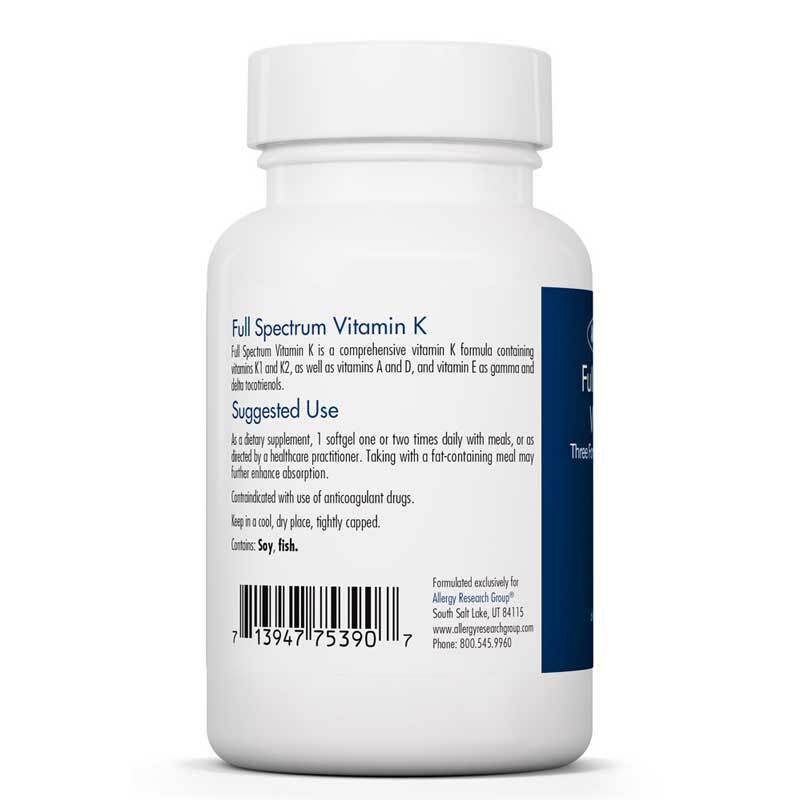 Choose Full Spectrum Vitamin K from Allergy Research so you can take advantage of all the potential health benefits. Other Ingredients: Sunflower oil, gelatin, glycerin, water, yellow beeswax, carob extract, soy lecithin, zinc oxide. Adults: As a dietary supplement, 1 softgel one or two times daily with meals, or as directed by a healthcare practitioner. Taking with a fat containing meal may further enhance absorption. Contraindicated with use of anticoagulant drugs. If you are pregnant or nursing, please consult your healthcare professional before using this product. Keep out of the reach of children. Your pricing was very favorable and it was delivered very quickly..